Our musical has great songs. Starring Clara Bow’s sole asset and business is the creation and production of this bound-for-Broadway musical and related rights. All rights to the intellectual property (songs, libretto and music) created for the show are now owned by the company, which means the company can use them to generate revenues from future licensing and publishing rights and road shows in perpetuity. No one can guarantee the success of a show before it’s a hit on Broadway, but anyone can listen now to our complement of professionally recorded musical numbers and read the scene descriptions to evaluate for themselves our show’s potential. The songs are the heart of any Broadway musical and they are already created and recorded. Although one never knows in advance if a show will be a hit, reading the scene descriptions and listening to the songs at least gives one a clue to our show’s potential. 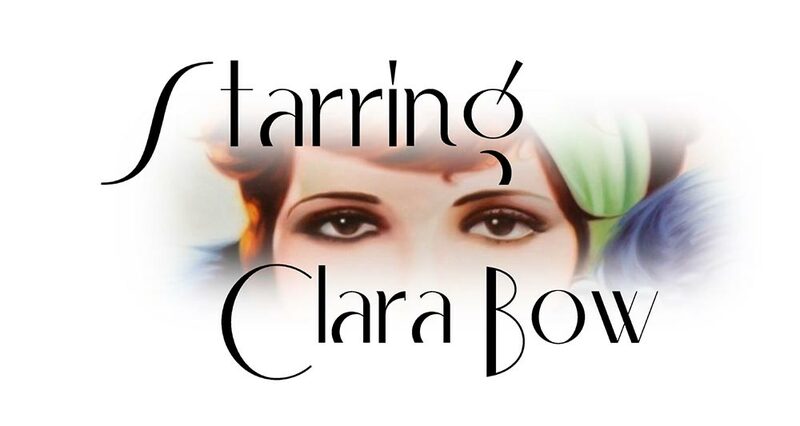 15 year-old-schoolgirl, Clara Bow, is the center of a fracas on the schoolyard. Bullying classmates have taunted her about her mother and made vicious and belittling remarks concerning her ambition to be in the movies. Clara sings “ I Wanna Be a Movie Star” (a production dance number) accompanied by the ensemble. B. P. Schulberg is so elated about his just-completed deal with Madam Elinor Glynn that he bursts into a song about “IT”, accompanied by 5 blonde Chorines waiting in his office to audition. This scene covers several realities and memories in the mind of retired Clara Bow. From her Culver City living room we revisit vital moments of her life: Clara’s heartbreaking movie debut; a Film set when she learns her mother has died; the day she was offered a deal with Paramount Pictures; her first sexual escapade with Artie Jacobson (a cameraman); breaking off her affair with Artie (Clara Sings her solo “On the Road Before Me Now”); departing for Hollywood at Pennsylvania Station. Clara Bow is the “IT Girl,” the biggest star in Hollywood. Also the most overworked star, the most underpaid star, the most promiscuous star, and the most scorned-by-her-peers star. At home on a rare Sunday off she is trying to relax, but distracted by the comings and goings of her retinue of servants, scrounging relatives, the USC football team and assorted hangers-on. Suddenly she learns from her trusted secretary Daisy that a well-known reporter, Adela Rogers St John has arrived for an exclusive at-home-with-Clara Bow interview. In the chaos, Clara spills the beans on her home life & love life and reveals that she’s engaged to three famous men at the same time. Gilbert Roland sings “Mi Clarita” revealing his physical passion for Clara. Gary Cooper sings “Crazy with a Capital C” to underline Clara’s attraction to the world’s most dashing matinee idol. Clara goes head to head, hammer and tongs with BP Schulberg in his lavish office. Clara is fighting for her artistic freedom and better treatment as the queen of Hollywood. Schulberg sees Clara as a cash machine and cares little for her desire to be recognized as a serious actress. He refuses to negotiate, slanders her, makes an unwelcomed pass, assigns her to the scrap heap, and reminds her that her antics and “immoral” behavior are tarnishing her reputation. Clara argues that she is the victim of poor scripts, uneven studio treatment as the biggest star in the world, and is constantly being preyed upon by unscrupulous publicity seekers after her money. BP counters that she is risking her neck and the support of the Studio Machine when he sings “Crisis a Day with Clara”. Clara, facing a career-wrecking lawsuit without any support, seems at the breaking point and overwhelmed by her “Movie Star “ life. Social pariah Clara Bow, having been savaged by the press, spends an evening out with girlfriends at the world famous nightclub. Here she intends to return an engagement ring to Bandleader Harry Richman with whom she has had a headline-grabbing affair. She runs into her co-star Rex Bell, who has fallen in love with her. Out on the dance floor Clara realizes what a regular guy Rex is, and they sing “In The Arms of a Dream Like You” to Harry Richman’s Orchestra. Rex promises to stand by Clara when she goes to trial. The “Starring Clara Bow Overture” plays at the opening of our show and during intermission. It is a wonderful medley and recap of songs from the show.